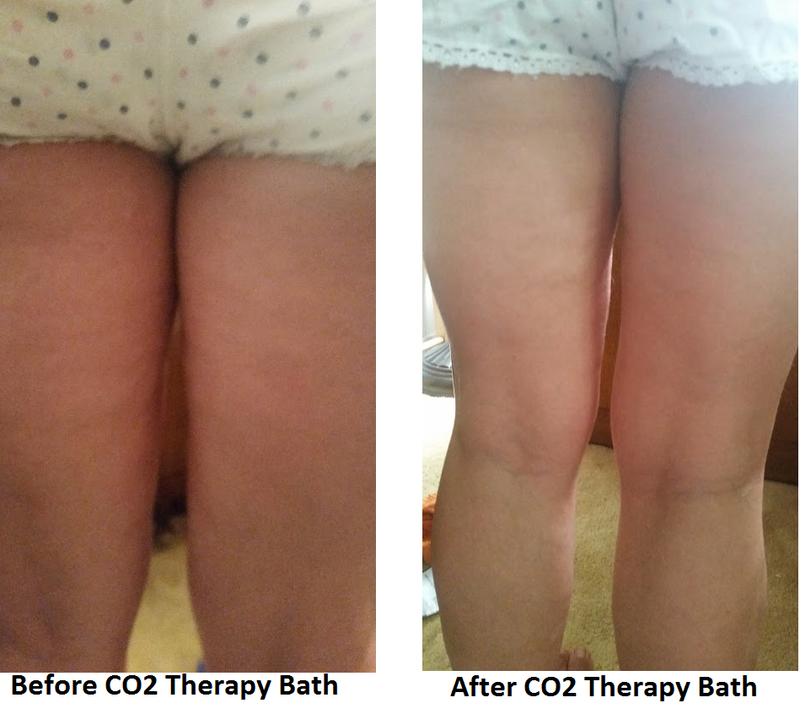 The Carbon Dioxide Therapy Bath allows you to easily take co2 dry baths in the comfort of your home. 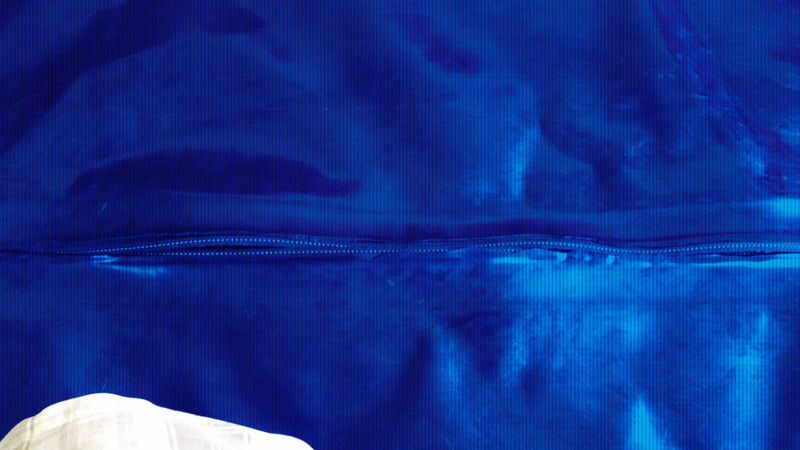 The Carbon Dioxide Therapy Bath uses high quality cloth material with an airtight zipper and tight neck seal to ensure all air remains in the bag. 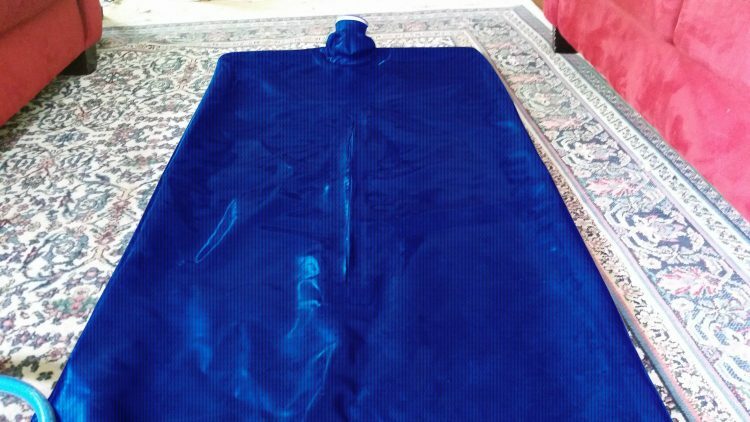 With the press of a button all air is vacuumed out of the bag and fresh co2 is streamed into the bag to the desired capacity and pressure. This is to ensure the air is 100% co2. Co2 is absorbed more efficiently into the body when the skin is wet. 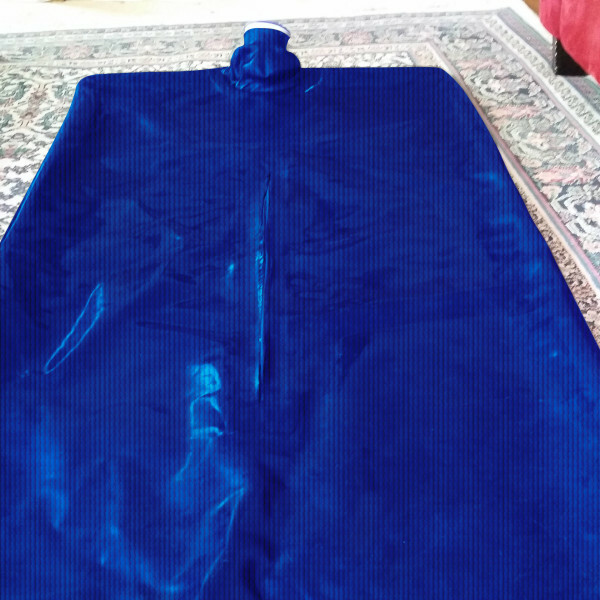 Most users will bring a spray water bottle in for each session to spray their body with water throughout. 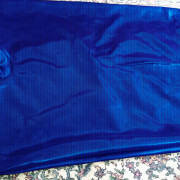 The interior of the bag is covered with a nice removable cotton for cleaning. User experience an increase in energy, a reduction in fatigue, a reduction in body pain and much more. The vasodilating effect also allows more oxygen to reach the periphery of the body which tends to be constricted in less than ideal metabolic states. Increased blood flow to the skin while also making the oxygen more available has many benefits for the skin. It increases the production of co2 as well naturally which removes excess calcium and water from the cell putting it in a more energized state amongst many other things. 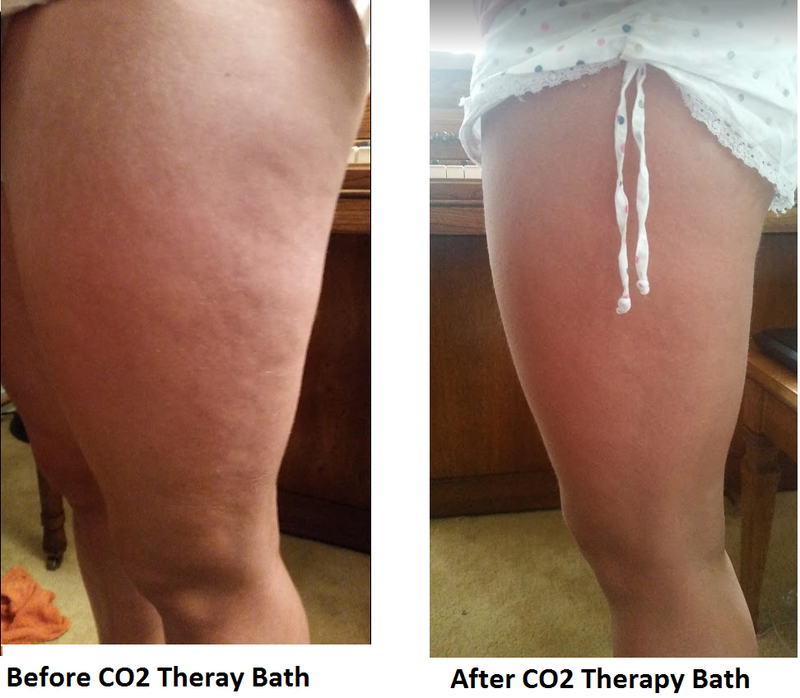 The carbon dioxide bath allows you to get all of the benefits of carboxytherapy injections from the comfort of your home and without expensive procedures require needle injections at a cosmetic therapy office. These baths can be done every day in the comfort of your home. 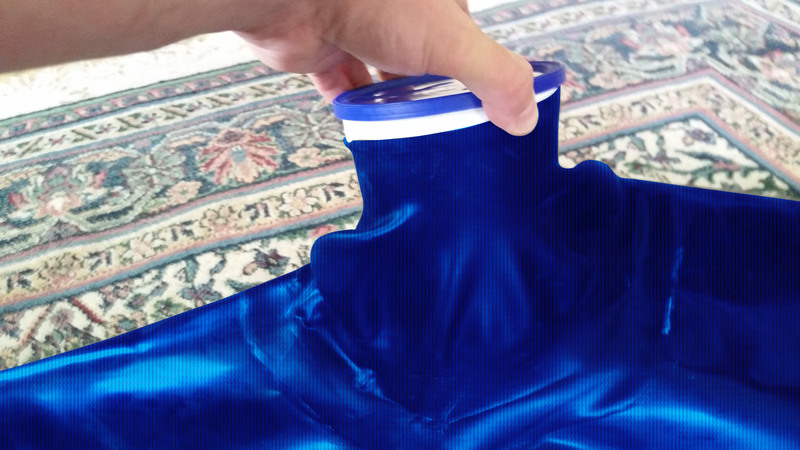 You can increase the absorption of the carbon dioxide by taking a spray water bottle in with you. A small layer of water on the surface of the skin will increase the absorption of the co2 making the baths even more effective. 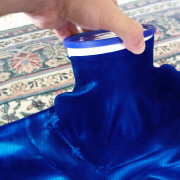 After the bath is completed the co2 is vacuumed out of the bag and can be directed out the window through the included tube. Is CO2 the Most Important Beauty Discovery? Have you heard of carboxytherapy? It’s an increasingly more popular cosmetic ‘procedure’ where they inject pure carbon dioxide underneath the skin. The reasoning for why it works is that carbon dioxide increases blood flow to the surface of the body while also increasing the oxygen via the bohr effect. The bohr effect states that the oxygen loses it’s affinity for hemoglobin due to the presence of carbon dioxide allowing the nearby cells to utilize oxygen more efficiently. More oxygen utilization in turn also produces more carbon dioxide. This increases the metabolic rate of the cells and reduces pro-aging metabolic waste such as lactic acid and calcium in the cells. Additionally as a Lewis Acid, carbon dioxide reduces access electrons and increases the ratio of NAD to NADH thus producing a more youthful metabolism and appearance. The results from simply injecting carbon dioxide underneath the skin are very powerful. This news report calls it a beauty breakthrough. As we age blood becomes more viscous. Also as we age and our metabolism slows, less blood flow and reaches the extremities of the body. This can be from less elasticity of the blood vessels as well as constriction of them due to a low metabolic rate. In a low metabolic rate the blow flood is restricted to be more inward for the vital organs. 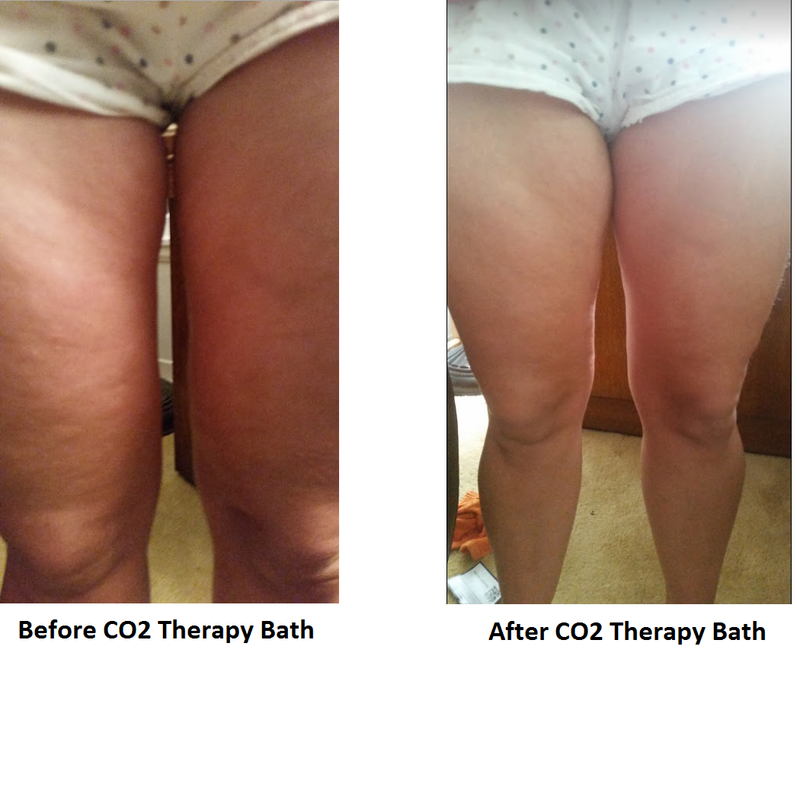 The carbon dioxide therapeutic bath works very similar to carboxytherapy. The carbon dioxide therapy bath allows you to bathe in an environment of 100% co2. Carbon dioxide is easily absorbed in this type of environment through the skin. Many studies have shown the benefits bathing in pure co2 for increasing microcirculation, improving skin quality, and reducing spider veins, cellulite and varicose veins. 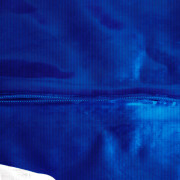 Spraying water on your skin while in the bag increase the absorption of the carbon dioxide. This was from my girlfriend using the bath. The time we did not know what to expect, but when she got out her skin looked noticeably more vibrant and the cellulite and spider veins were pretty much all gone. She only had small amounts of cellulite and skin imperfections but the changes in her skin were actually pretty dramatic. So I posted about this on Facebook and I received a lot of interest and requests to see some before and after pictures. Below are the before and after pictures that I took. I’m not a professional photographer by any means so the pictures are not perfect but I hope you can see the difference. Also the legs felt much firmer and softer. I took pictures of the front, side and back. The pictures of the back of the legs did not turn out very well but I hope you can see the difference. Another benefit of the co2 bath was a marked improvement in digestion. My girlfriend has what is called colonic inertia which is very slow transit through the bowels. It is a rare condition in where the colon ceases to function normally. In order to have a bowel movement she has been dependent on a drug called Linzess which she has to take daily. She normally takes it every morning upon a waking which clears out her bowels. However after using the bath frequently she had a normal bowel cleansing as if she had taken the Linzess. It should also be noted that while the changes in her skin are pretty dramatic very quickly, her skin goes back to normal by late evening. However I suspect the more we do this the changes will become permanent. Already doing baths just a few times a weeks have shown permanent improvements in skin quality. I think doing more baths throughout the week will produce very dramatic and permanent results. I will keep updating the website as we continue to experiment to do the baths. “We have previously shown that transcutaneous CO2 system causes absorption of CO2 and increase in O2 pressure in treated tissue, potentially causing an “Artificial Bohr Effect”. 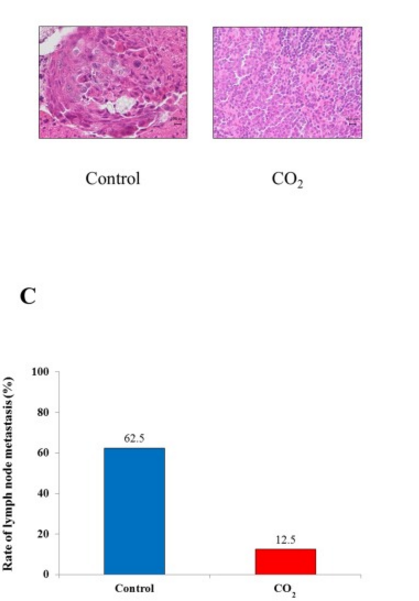 CO2 therapy significantly decreases expressions of both HIF-1α and VEGF in human MFH, which suggests that CO2 therapy reduces hypoxia in the treated tumor tissue . Based on these findings, we investigated whether making the environment of SCCs less hypoxic by using transcutaneous CO2 induces tumor cell apoptosis and suppresses lymphogenous metastasis to the regional lymph nodes by a mitochondrial pathway. In this study, we found that transcutaneous CO2 suppresses SCC growth by inducing apoptosis and significantly suppresses metastasis to lymph nodes by reducing intra-tumoral hypoxia and suppressing metastatic potential. Repeated artificial CO2 dry treatments were performed on 37 volunteers with musculoskeletal pain disorders. What you may experience using the CO2 Bag Device. Normally the experience is very pleasant like all tension and anxiety is being washed away. Tension in muscles relaxes and you come out feeling energized. One person reported feeling like the could pull trees out of the ground with their bare hands.